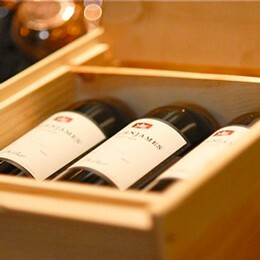 Exclusive AuburnJames wines delivered directly to you twice per year (Depending on release schedules and regional temperatures, typically shipped in April & October). A 20-25% discount on all wines, including library, large format, artist series, and limited releases. Special discounts on select non-wine merchandise at the winery tasting cottage. Invitations to elegant Wine Club dinners and Art Openings featuring local chefs and menus tailor-made to pair with our wines. Notifications for pre-release specials including access to the exclusive AuburnJames Artist Series and “member only” wine releases. Whether you choose 24 bottles annually or 12 bottles, membership in the AuburnJames Wine Club provides you with access to our limited production of award winning Red Wines. In addition, members also have the ability to purchase our White Wines at the club discounted price. Please select a club level that is the perfect one for you! Taxes and shipping & handling are additional. Our best Red Wines to enjoy now or to cellar for future enjoyment. All with at least 20% savings! A 12 bottle selection of our very best Cabernets Sauvignon and our Bordeaux Style varieties and blends. For drinking now and for sharing! These wines will include our single vineyard designates, our reserve Cabs, along with certain limited production "Winemaker's Selection" Red Wines and occasionally signed larger 1.5L formats. All of our most desired reds...plus at least 25% club savings! The ultimate in AuburnJames enjoyment! A 24 bottle selection of our very best Cabernets Sauvignon and our Bordeaux Style varietals and blends. Designed for cellaring, these wines will include our single vineyard designates, our reserve Cabs, along with certain limited production "Winemaker's Selection" Red Wines and occasionally signed larger 1.5L formats. Enjoy a bottle or two now and experience them as they rise toward their peak over the years to come.